Edox celebrate their 125th anniversary with an horological story studded with success and with inventions, some of which remain unrivalled even to this day. 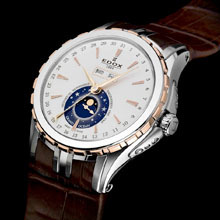 The slimmest calendar movement in the world, or the first watch that was water-resistant to 200 metres: such feats have made Edox veritable pioneers of watchmaking success. For the occasion of this anniversary, Edox decided to pay tribute to a legendary movement, the Venus 203, one of the most renowned in the history of watchmaking, which was conceived and designed at the beginning of the 1950s in the Venus SA workshops at Moutier in Switzerland. 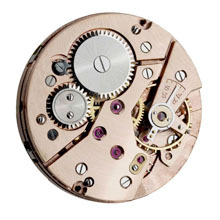 Over and above its style and functions, it epitomises perfection, that treasured pinnacle of the watchmaker’s art. All the technical excellence and ingenuity of this movement have been reworked to produce this legendary and timeless model. The new Super Limited Edition 1884 is characterised by simplicity and restraint, combined with opulent and extraordinary elegance. Its sober and refined lines are simply unforgettable. The Grand Ocean case is sophisticated and discreet with a polished and brushed finish, while the delicately notched bezel is in 18 carat gold. The limited- edition number of each timepiece is engraved on the left-hand side of the case. The silver-plated dial does full justice to the star-studded midnight blue transfer for the moon-phase indicator, while two date windows are located at 11 and 1 o’clock. The markers are asymmetrical and applied by hand. In a great and ringing tribute to this magnificent piece of ingenuity from the last century, the Venus movement can be appreciated through the transparent case-back. Production of the Super Limited Edition 1884 by Edox is limited to 125 pieces worldwide and is packaged in an exclusive presentation box. To wear the Super Limited Edition 1884 is to relive history and, beyond time, style and function, to pay tribute to the great tradition of watchmaking. The classical and the modern become one, a celebration of tradition and know-how. 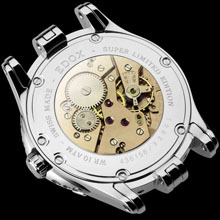 A daring gamble for Edox, but a winning one. In 2006, Edox, with an image inextricably linked with the nautical world, became partners and official timekeepers for the Class-1 World Powerboat Championships, spectacular powerboat racing events. Their name is also featured on the 44-foot yacht, Sea Dubai, which is signed up for the RC44 championships, the international regattas of which serve as qualifying events for the next America’s Cup.